Norwegian model Frida and Fergie the cute little dog. This entry was posted in Frida Aasen and tagged Frida Aasen, Norwegian Model, stunning model on December 30, 2014 by wealthandglamour. This entry was posted in Frida Aasen and tagged Frida Aasen, Norwegian Model, stunning model on December 16, 2014 by wealthandglamour. 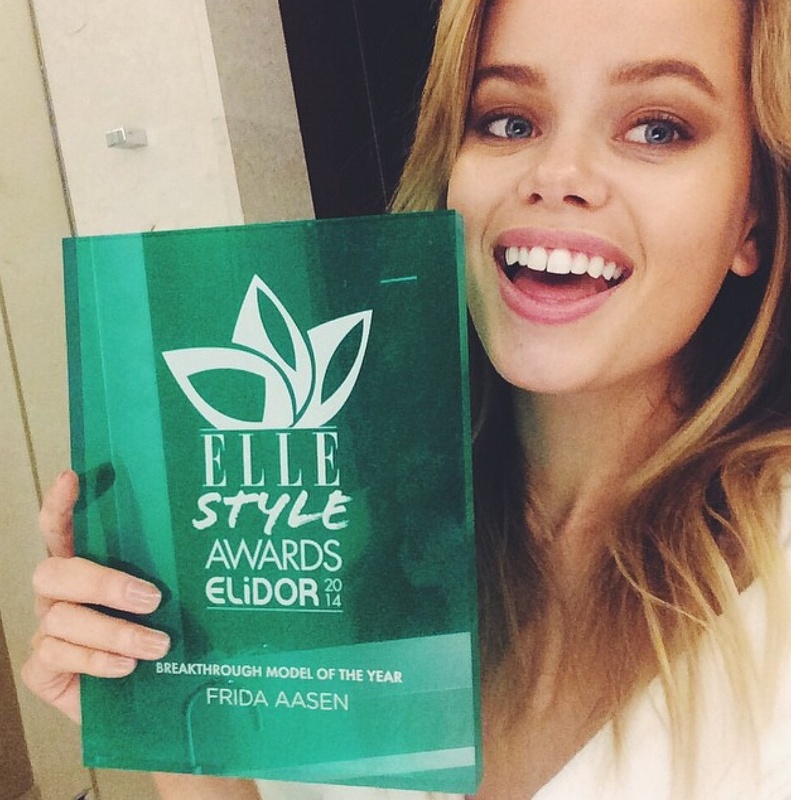 Norwegian model Frieda Aasen has been awarded breakthrough model of the year by Elle Style Awards. Frieda who is 20 years old, was also named face to watch by Vogue last year. She is incredibly pretty and can be compared to Brigitte Bardot and Claudia Schiffer. Frieda has walked for many top catwalk shows, and has modelled for Victoria’s Secret Pink. This entry was posted in Frida Aasen and tagged Elle Style Awards, Frida Aasen, Norwegian Model, stunning model on December 7, 2014 by wealthandglamour.